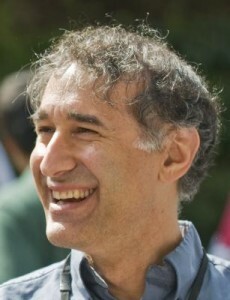 Dr. Michael Emerman trained with two Nobel laureates; he obtained his Ph.D. in Cellular and Molecular Biology at the University of Wisconsin-Madison in 1986 under the guidance of Dr. Howard Temin and continued postdoctoral training at the Pasteur Institute in Paris to work with the co-discoverer of HIV, Luc Montagnier. Since 1989, Dr. Emerman has led a lab at the Fred Hutchinson Cancer Research Center where he is now a Member in Human Biology and Basic Sciences and has appointments at the University of Washington as an Affiliate Professor in the Departments of Microbiology and Global Health. Dr. Emerman’s lab has focused on the molecular and cellular biology of HIV, but in more recent years his group has focused on the evolutionary battle between viruses and their hosts using HIV as a model. Along with his collaborator, Dr. Harmit Malik at the FHCRC, the studies expand on the the concept that ancient viruses have shaped our genome in ways that impact our resistance or susceptibility to modern-day emerging viruses such as HIV. Dr. Emerman has published over 120 peer-reviewed articles on the molecular virology of HIV including many studies on host restriction factors and viral accessory genes. He was the recipient of an American Foundation for AIDS Research Scholar Award and a National Institute of Allergy and Infectious Diseases Merit Award. He is the Editor-in-Chief of Virology and Associate Editor of PLOS Pathogens. Dr. Satya Dandekar is a Professor and Chair of the Department of Medical Microbiology and Immunology at the School of Medicine, University of California, Davis. She received her Ph.D. degree in Microbiology from M.S. University of Baroda, India and her postdoctoral training at the National Institutes of Health. Her research focuses on the mucosal immunology of HIV infection with a specific emphasis on the host-pathogen interactions at the mucosal interface, microbiota, mucosal innate defenses and gut healing. Her studies developed the SIV model of HIV enteropathogenesis and identified the role of gut epithelial damage in early HIV and SIV infections. Current studies apply immunologic and genomic methodologies to investigate the impact of HIV on the gut mucosal immune sensing and response to pathogens and microbiota and to explore novel approaches for the resolution of chronic gut inflammation. 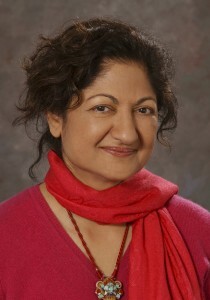 Dr. Dandekar has mentored junior researchers and faculty. She has served on the review panels and advisory committees at the NIH and non-federal agencies.